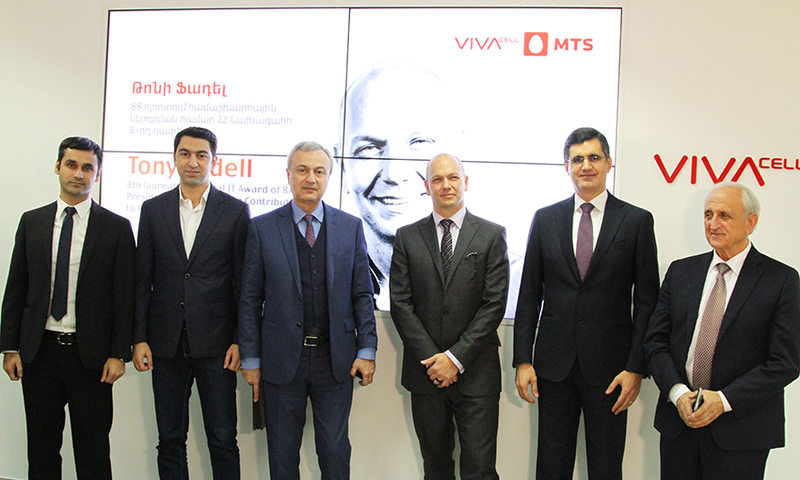 Today Tony Fadell, a laureate of the RA Presidential Award for Global Contribution in IT sphere, an American inventor with Lebanese origin, and the founder of the “Nest Labs” Company, visited VivaCell-MTS headquarters. Tony Fadell is the eighth laureate of the RA Presidential Award for IT contribution. The creator of iPod, inventor Tony Fadell, VivaCell-MTS General Manager, member of the Award Executive Board Ralph Yirikian, Chairman of the Award Executive Board, Executive Director of “Synopsys Armenia” Hovik Musayelyan and member of the Awarding Commission , CEO of “Viasphere International” Tony Moroyan answered the questions of media. Tony Fadell during his meeting with the representatives of ICT (Information and Communication Technology) community touched upon several topics, including artificial intelligence, development of technology and its impact on the wellbeing of communities and next generations. Answering to a question about the possible threats to the humanity posed by the proliferation of the robots in all areas, Fadell told that he is quite optimistic about co-existence. According to the inventor, agriculture technology is a tremendous place where technology has been able to increase yield to help communities around the world. And agriculture technology is the exact area where Mr. Fadell would like to invest for the coming years. iPod creator Tony Fadell visited Armenia to receive the RA Presidential Award for his global contribution in IT sphere. The awarding ceremony will take place today at the Presidential Palace. Global Award of the President of the Republic of Armenia (Global IT Award) inaugurated in 2009, is granted on an annual basis to an individual whose internationally acclaimed contributions to IT have resulted in near-revolutionary or revolutionary developments that have positively impacted or hold the potential to positively impact the humanity. Tony Fadell is the eighth winner of the RA Presidential Award for IT contribution. Global IT Award laureates of previous years are Craig R. Barrett – former CEO/Chairman of Intel Corporation’s Board of Directors (2010), Steve Wozniak – Co-Founder of Apple Computer, Inc. (2011), Federico Faggin – Chairman Emeritus of Synaptics, Inc. (2012), Tsugio Makimoto – the President of SSIS (Society of Semiconductor Industry Specialists) and the founder & President of Techno Vision (2013), Mario Mazzola – the Chief Development Officer of Cisco Systems (2014), Eugene Kaspersky – Chief Executive Officer and Chairman, Kaspersky Lab (2015) and Louis Pouzin – CEO at Open-Root and one of the founding fathers of Internet (2016). Referring to the RA Presidential Award, Tony Fadell said: “For me it is a great honor to receive the award and no matter how small or big your country is, it just takes one person or one team to create a big change in the world. You don’t have to go to Silicon Valley and to replicate that success. “Advanced technologies are the key to economic development and progress. Technological solutions are the product of creative thinking, quality professional education and innovation enhancement. In the field of high technologies, Armenia has an incomparable powerful potential. As an ICT sector representative, VivaCell-MTS continuously supports the implementation of ICT programs of national importance in the field of high technologies, thereby encouraging further advancement of the sector. For the eighth consecutive year, we are participating in the implementation of this project, first of all, with the goal of promoting Armenia as a country with a promising perspective on ICT development in the eyes of Armenian society and the world,” said Ralph Yirikian. “Just eight years ago this very important award ceremony was set up. Few people believed that it could be realistic that the legends of the global IT industry would come to Armenia every year to receive this honorable prize. Today it is fully accomplished and accepted by the international technological community. Me and my colleagues are very proud on this occasion,” noted Hovik Musayelyan. “This year, we have a great honor to add among the laureates of the RA President’s Award Tony Fadell, the global IT genius, who has had a great influence on humanity through his discoveries. Tony was able to design and implement iPod, which is one of the main mobile platforms that have changed the global industry, economy and human development,” said Tony Moroyan. The RA Presidential Award in the IT industry is important for the development of information technology sector opportunities in Armenia, as well as for introducing Armenia in the world’s IT map as a country with significant potential for development in the field of high technologies. VivaCell-MTS is based on the belief that Armenian youth has the necessary qualities and the potential for self-improvement and consistent support is needed to fully reveal it. The RA Presidential Award for global contribution in the IT Industry is also important in inviting Armenian youth attention to the IT industry as a field of specialization. The award support is one of the investments made by the company within the framework of the mission to contribute to the development of information technology in Armenia. It is already the eighth year that VivaCell-MTS undertakes the general partnership of the award. 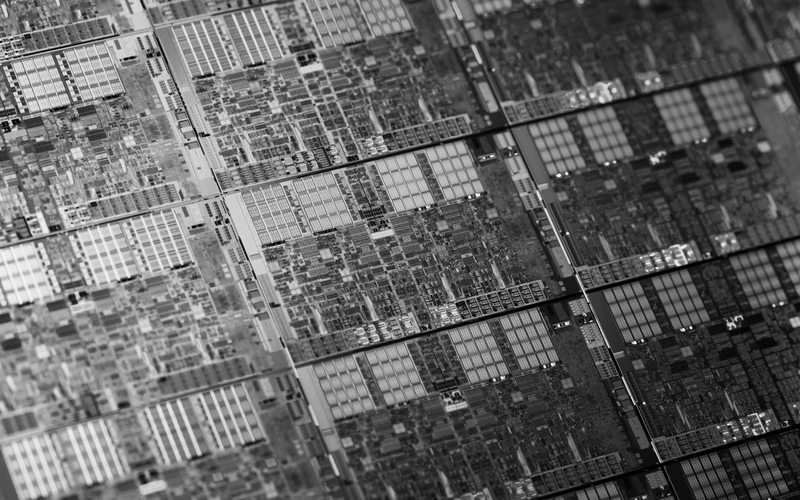 To date, the company has provided 162.2 million AMD to implement the project as the General Partner.